MyLeanMBA is a 1-year online program that allows you to master the art of business by spending 15-30 minutes/day and less than 1€/day. Classes start every month. Study business administration across 12 functional areas: 1. Entrepreneurship 2. 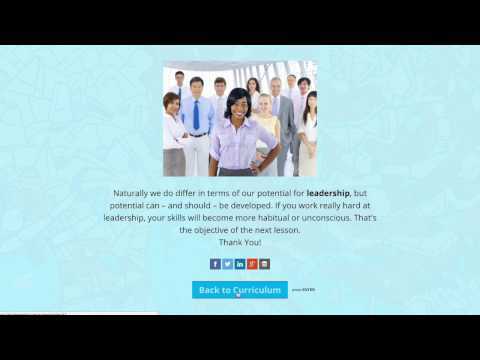 General Management, Leadership and Strategy 3. Marketing & Sales 4. Human Resource Management 5. Operations Management 6. Business Law & Ethics 7. Finance 8. Accounting 9. Information Technology 10. Economics & Statistics 11. International Business 12. Project and Quality Management Who is the Lean MBA for? - for people who can’t afford a traditional MBA - for aspiring entrepreneurs, to be able to make better business decisions - for traditional MBA candidates, to get the most out of their investment - for engineers, to gain the required skills to become a manager - for employees who want to better understand how a company works - for people who want to boost their business skills and show their commitment to improving themselves MyLeanMBA.com is also a great success story and has attracted more than one thousand students from 53 countries in the first 2 months, mainly by word of mouth. If you are a professor or expert and share our vision to offer an affordable, high-quality education, contact us! MyLeanMBA no tiene ninguna noticia disponible.